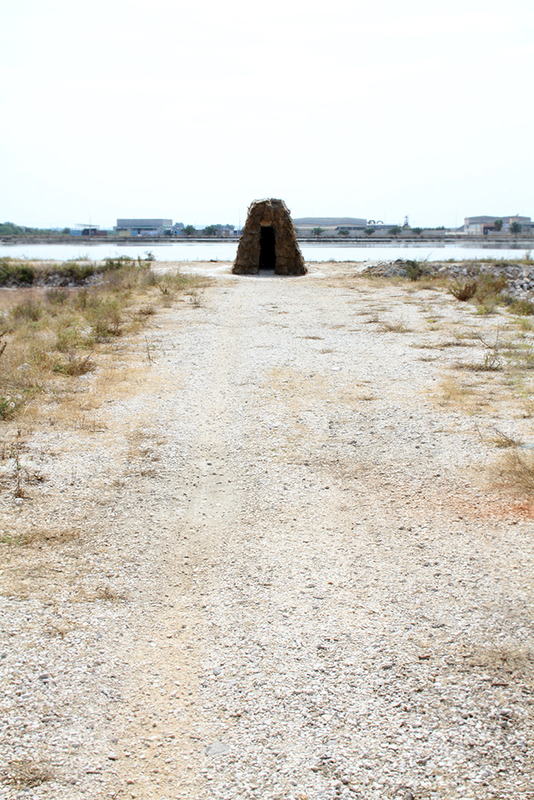 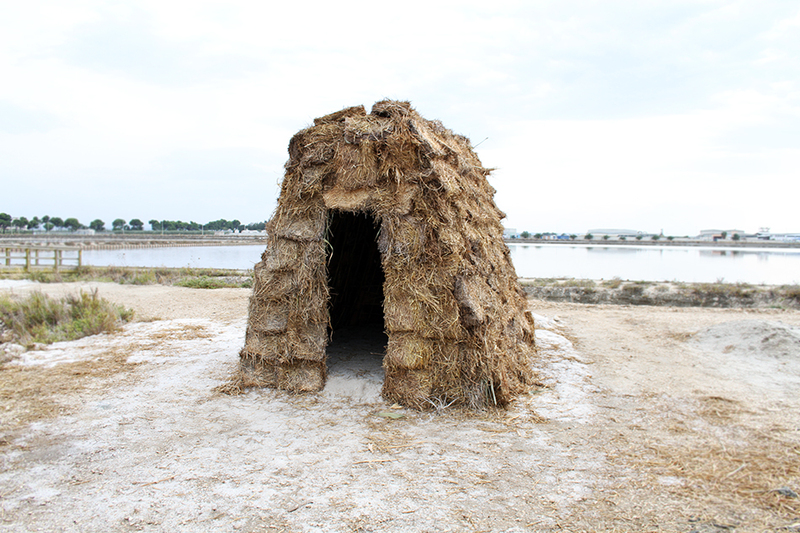 "The long history of the Saline of Margherita di Savoia involves people who found in the saline the work, hope and permanent possibilities of a community that now boasts a century. 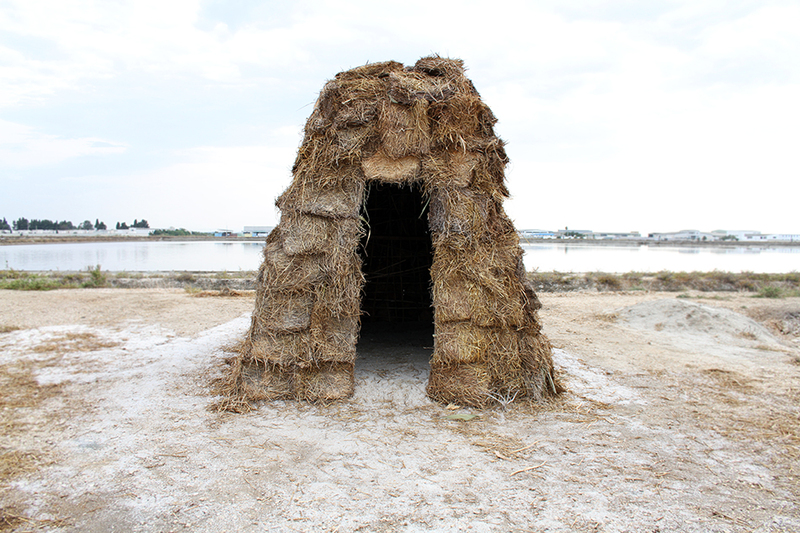 Totem /.\ is an installation made with natural materials found on the site, which recalls this story through the symbol of a model home in which memory, suffering and joy are valued and given back to the people of today. 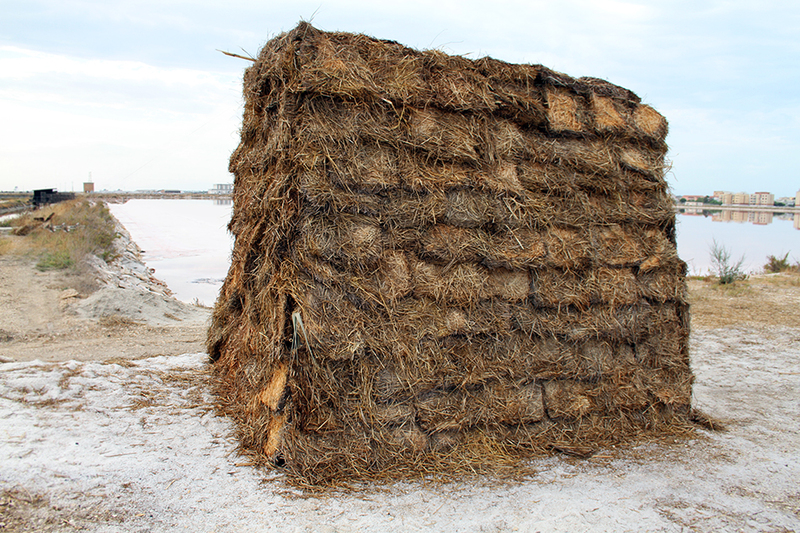 A "haystack" in wood, canes, clay, straw and salt is therefore a living monument dedicated to the community that belongs to it".